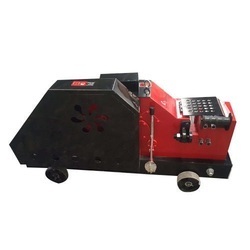 Our range of products include gq50 bar cutting machine, gq40 rebar cutting machine, gq40-h bar cutting machine, gq50-h bar cutting machine, semi automatic bar cutter and steel bar cutting machine. Catering to the varied demands of the customers, we are offering them a quality range of Bar Cutting Machine. Manufactured with the help of hi-tech machines and modern technology, our cutters find wide applications in the Construction Industry. Bar Cutting Machine offered by Topall Impex is widely acclaimed among customers. The attributes of our products are durability, high tensile strength, and cost-effective prices. Topall Impex holds expertise in fabricating high-quality products which are fabricated using the high-grade raw material. Our skilled team is efficient in fabricating products as per the specifications of customers. We also do customization of products to meet the varied requirements of customers. 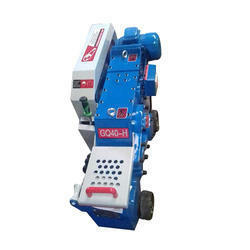 With the help of our advancement in technology, we are providing an exclusive range of GQ40 Rebar Cutting Machine. The most demanding model has a long run history of serving the construction industry, residential, Commercial or infrastructure projects. 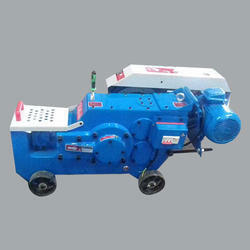 This superior quality machine uses simple mechanical gears to generate the required results. The electrical panel provides fully automatic functions where the operator can choose to cut the rebar of different Radius. 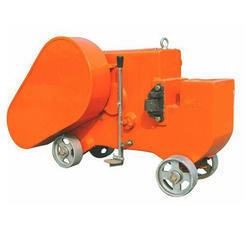 The brake motor replaces the normal motor to provide long life to the electric panel. Owing to our in-depth expertise in this domain, we are engaged in offering an extensive range of GQ40-H Bar Cutting Machine. This has ultimate operator protection and wobbling minimization due to durable guard system. Under the stern guidance of our adroit professionals, this is manufactured with the use of the finest quality materials. 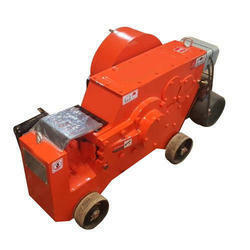 Offered machine is rigorously tested by our diligent quality experts before its dispatching. As per the variegated requirement of our clients, we provide this Bar Cutter in different specifications at a pocket-friendly price.